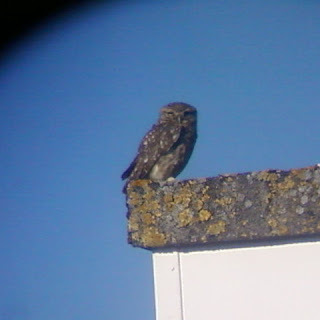 Continuing with more posts about Chilbolton wildlife, here's an update on the owls. For those who were curious about the outcome of the little owl, it seems to have left the nest box now. Here is another photograph, this time of one of the parents. This owl is perched on the edge of the roof of the control building at the Observatory.